Reddingon's day in court is having a knock-on effect on those who finance him, and they believe that his money situation is something that could lead to them being exposed should he decide to rat on them to the FBI, not knowing of course that he is already ratting on them to the FBI. The show starts off with an extended sequence set to We'll Meet Again which results in the death of one of Red's few allies, putting his position in jeopardy. So the race is on to try and get the heir to his organisation to vote in favour of Red, and by sending the FBI to help with the situation at hand and uncover some truths about the Alter Ego organisation, Red is able to gain another valuable ally. But The concierge of crime has bigger problems in the form of the courtroom, and of course Red knows criminal law pretty well, he is one after all. His defence where he tried to exploit the officer's desire for publicity and the fact that it was too specific of a tip-off to be held against him to get his name cleared was an admirable one, even praised as much by the judge herself. But one thing the judge is unwilling to do is to grant Red access to the taped recording of the phonecall which would expose Elizabeth's identity. It doesn't stop Red from vowing to find it out, and not even his public execution would stop his betrayer from being on the receiving end of justice. Although we know Red is probably not going to kill Elizabeth once he finds out it's her as there will surely be some forgiveness going on if the show plans to go on past Season 6, but the fact that Red acknowledges his adversary as a worthy one makes the stage set for an interesting game indeed, especially as after all, according to Red it's only just beginning. The longer Red has to sit and do nothing in jail, the longer he has to come up with theories about who betrayed him. The false hope of being let go this early on was an interesting twist, and it means that as a result Red is only going to be angrier when he is inevitably released. I liked how he was able to use his character flaws as an advantage in the courtroom - and it almost worked too. Red admitting that he will do anything to find the tape of the recording that presumably reveals who betrayed him to Elizabeth might even force her into doing something reckless that could lead to her duplicity being uncovered. The last few episodes have had a very noticeable trend of Red putting together his own cluster of allies in various places, so it might also be a good idea for Elizabeth to start expanding her base on her own as she could run the risk of being cast aside from the Taskforce once her betrayal becomes public knowledge, which it will be. It's only a question of when. 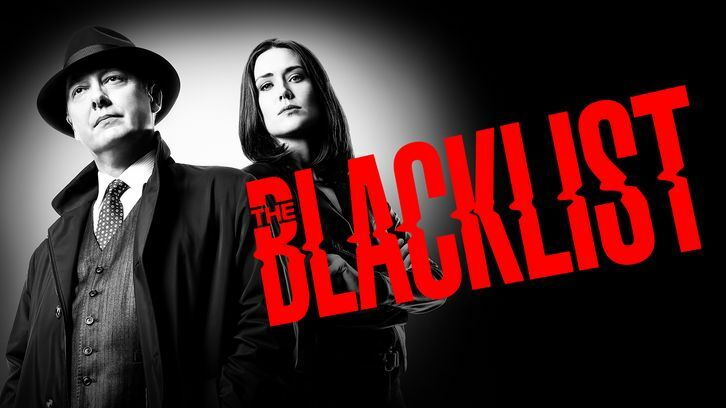 The Blacklist is extending the serialised elements of the show more and more and having fun playing with the procedural structure of the show to create a nice blend of the two modes. The tie in of the Alter Ego organisation was handled nicely, and it was cool to learn a little bit more about Red's position in the world of organised crime and the consequences that come with it. It was perhaps interesting to note that not everyone even on Team Red was as a hundred per cent supportive of his strategies, with Dembe pressuring Red to tell Elizabeth the truth. It's unlikely that Dembe will side with Elizabeth over Red anytime soon, but giving Dembe a little more to do is always welcome. One thing that seems to be interesting as well is that Elizabeth may be thinking about changing her mind about the whole idea of framing Red. This would no doubt create a conflict with Jennifer, who is going to do whatever it takes to make sure Red stays behind bars - but it certainly creates a compelling conflict in both characters. I could see Elizabeth potentially doing something very cold and setting up Jennifer to take the fall for her to keep her cover, especially if it turns out that there is more to Jennifer than initially meets the eye. I think at this point the biggest surprise will be if Jennifer is actually who she says she is.